Two months before a sequel to the original even hits theaters, Miramax is already announcing that a third installment in the series will hit theaters in the summer of 2003. Not only is this action a strong display of confidence from the studio for the quality of the upcoming sequel, but it also makes a lot of sense from a financial perspective. The first film was highly profitable, with a final box-office total of $112.7 million that easily covered its $33 million budget. 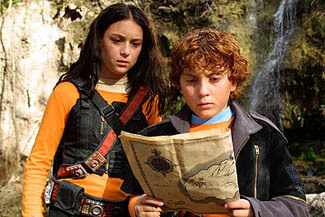 Add to that an additional $31 million in earnings overseas plus nearly $50 million in video rentals, and it's easy to see why the studio would be excited about the prospect of Spy Kids 3.